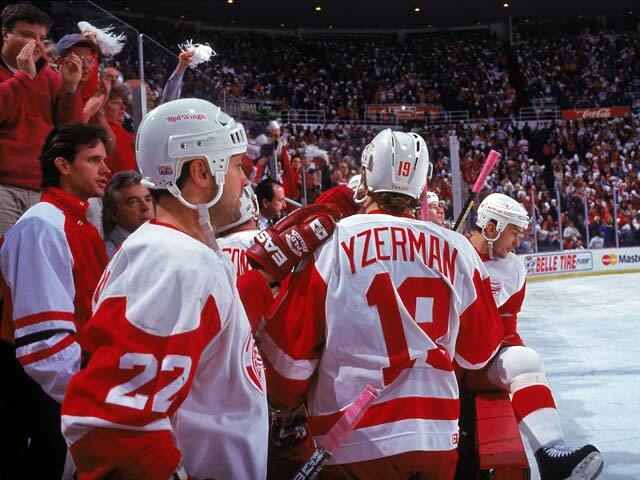 It was on this day in 1996 that the Detroit Red Wings set an NHL record with their 62nd win of the season. Their total eclipsed the mark set by the 1976-77 Montreal Canadiens who won 60 out of their 80 games. The Red Wings accomplished the feat in 82 games. Although the Wings had tremendous success in the regular season, they would ultimately fall short of their main goal, which was to win the Stanley Cup. After getting by the Winnipeg Jets in the first round and the St. Louis Blues in the second round, the Red Wings would face their arch rivals, the Colorado Avalanche, in the Western Conference finals. Even with the likes of Steve Yzerman, Sergei Fedorov, Paul Coffey, and Nicklas Lidstrom, the Avalanche were too much for Detroit to handle. Colorado would win the series in 6 games and go on to sweep the Florida Panthers to capture the franchise’s first Stanley Cup.